CACI’s National & Cyber Solutions business group has immediate career opportunities in Northern, VA for all levels of Software Engineers interested in developing high quality code for software application systems, tools, and more. CACI Software Engineers work collaboratively with peers to solve complex problems and create capabilities the Department of Defense and Intelligence Community. 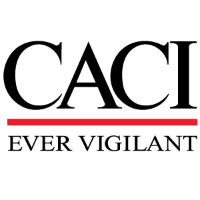 As a CACI Software Engineer you will be presented with challenging requirements that require extreme skill, technical focus, and a can-do attitude. Software Engineers also identify and participate in company funded independent research and development (IRaD) projects and participate in transitioning those capability to the operational environment. As a CACI Software Engineer, you will be rewarded with satisfaction of accomplished work, challenging projects, and of course highly competitive compensation. May perform regression testing to support new software releases. Collaborate on technical items with the larger team. Experience with: Web Services, Service based development, and Messaging or ESB Technologies. A Bachelors or Masters degree in CS, similar, or an equivalent combination of educational background and directly related experience. Must be eligible to obtain a TS/SCI clearance, and willing to sit for a Polygraph (if customer requires). We are able to sponsor new clearances and can upgrade existing security clearances. Normal demands associated with an office environment. Ability to work on computer for long periods, and communicate with individuals by telephone, email and face to face.